the West End home of Disney’s Aladdin. Soar into A Whole New World with Disney’s Aladdin at London’s Prince Edward Theatre. We recommend trying our interactive seating plan where you can choose a particular seat and get more information about restricted views, etc. We recommend taking public transportation to the theatre. The nearest underground stations to the Prince Edward Theatre are Leicester Square Station (Northern/Piccadilly Lines) and Tottenham Court Road Station (Central/Northern Lines). The Palace Theatre is also serviced by bus lines 14, 19, 24, 29, 38, and 176. If arriving by train the nearest rail station to the Palace Theatre is Charing Cross Station. If driving to the theatre the nearest car park is the Q-Park Chinatown. The Prince Edward Theatre is a London West End theatre on Old Compton Street, north of Leicester Square. The Prince Edward Theatre was designed by Edward A. Stone, also an architect for the Piccadilly theatre, in 1928. With interior decoration by Marc-Henri Levy and Gaston Laverdet, the building itself was a success. A spacious art deco foyer greeted audiences, with staircases leading off to the stall and dress circle. Themes of fuchsia and gold made the interior warm and welcoming. It opened on April 3, 1930 with a performance of the musical Rio Rita. Unfortunately it had checkered success with shows, forcing it to change hands and venue uses repeatedly. The Prince Edward 1935 it was converted to a dance and cabaret hall, being renamed the "London Casino", and renamed again as the "Queensberry All Services Club" in 1942. After the war it became the London Casino once again and in 1954 was converted to a cinema, reopening as "Castino Cinerama Theatre". In 1978 it was converted back to a theatre and returned to its original name, reopening with the world premiere of the musical Evita. Then just prior to the opening of Mary Poppins in December, 2004, The Prince Edward Theatre underwent some refurbishment to improve the bar areas, font of house facilities, and the dressing rooms. With a capacity of 1,618, The Prince Edward is currently showing Jersey Boys and awaiting the much-anticipated return of Miss Saigon. Where is Prince Edward Theatre? 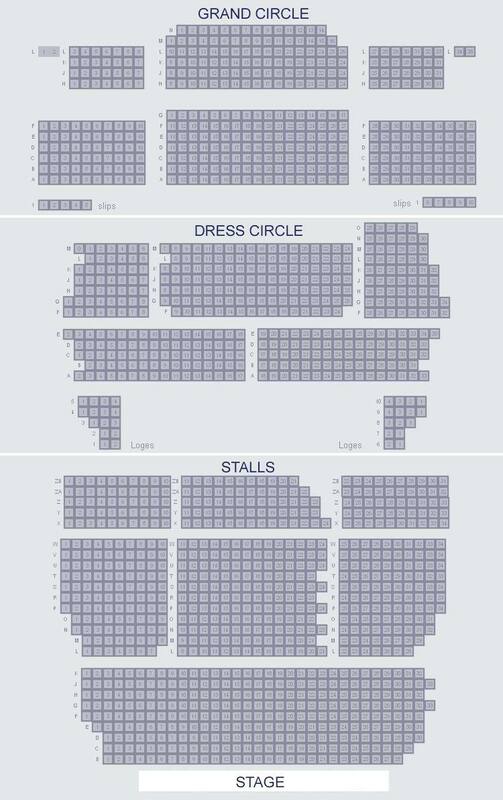 The Prince Edward Theatre has a capacity of 1,650 over 3 levels: Stalls, Dress Circle, and Grand Circle.